If you read my blog regularly you remember that a friend of mine for over 15 years converted to Christianity and the Catholic Church about a month or two ago. He came here to my house and received the Rite of Election. You can read the post here with pictures. Turkey is 99.9% Muslim so Okan has a great price to pay. Here is an article about his conversion written by Bishop James Conley of Lincoln Nebraska. 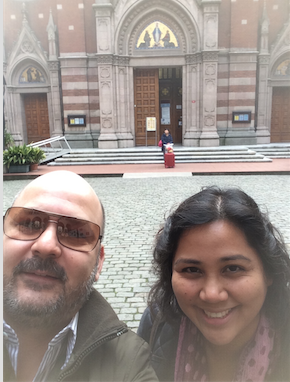 He was with me in Istanbul with our St. Paul Cruise. Okan asked him to lay hands on him for a blessing and he did. Okan felt heat rush through his whole body. You can read the article here. The “American friend” referred to in the article is me :-) This picture above is Okan coming out of Mass in Turkey.